We got on the bus and we went to the Styx Mill Reserve. When we got there we went to the picnic tables and met Bill the Park Ranger. While we waited for people to use the bathroom we found some prickly seed pods. They looked like little hedgehogs and some of them were still in a ball shape and some were flat. Then we walked across the road to the big fence. The big fence keeps cats from going in and getting some of the birds and animals in the reserve. We then walked down the bush walk and across the bridge. The river is called the Styx Mill river and it was very clean. The water comes from springs under the ground. 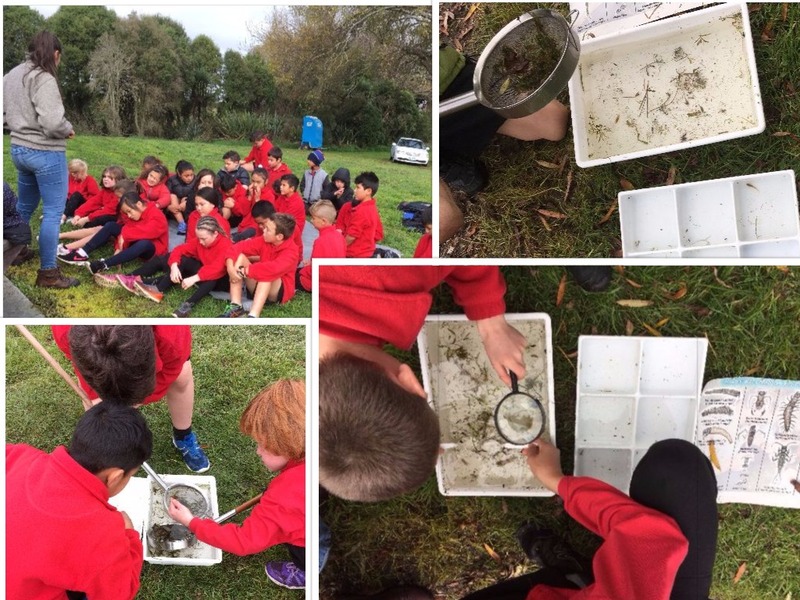 We saw lots of plants and we saw a Kahikatea tree. It can live for more than 1000 years and it can grow to about 60 metres tall. It is the tallest New Zealand native report. 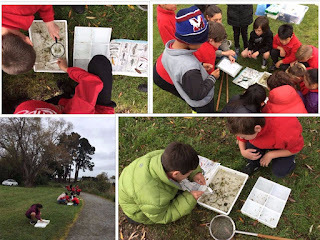 On the walk we saw some pukeko, fantails, sheep and we even saw a hare. Then we stopped and looked at the water birds. We saw ducks, Canadian geese, paradise ducks, black swans, Australian coot and some scaup. After that we went and met Celia and we learned how to scoop bugs out of the lake. Some students found water boatman, backswimmers, damselfly nymph, dragonfly nymph, small fish. We also caught some worms, a leech, water snails, and some larvae. The best thing on our trips was getting outside looking and experiencing nature.